Sitting Fairy Greta would love to call your garden home. - Coat with polyurethane varnish to protect colour�from weathering, however can be repainted if fading occurs. - Handle with care, could break if dropped on a hard surface. 1. 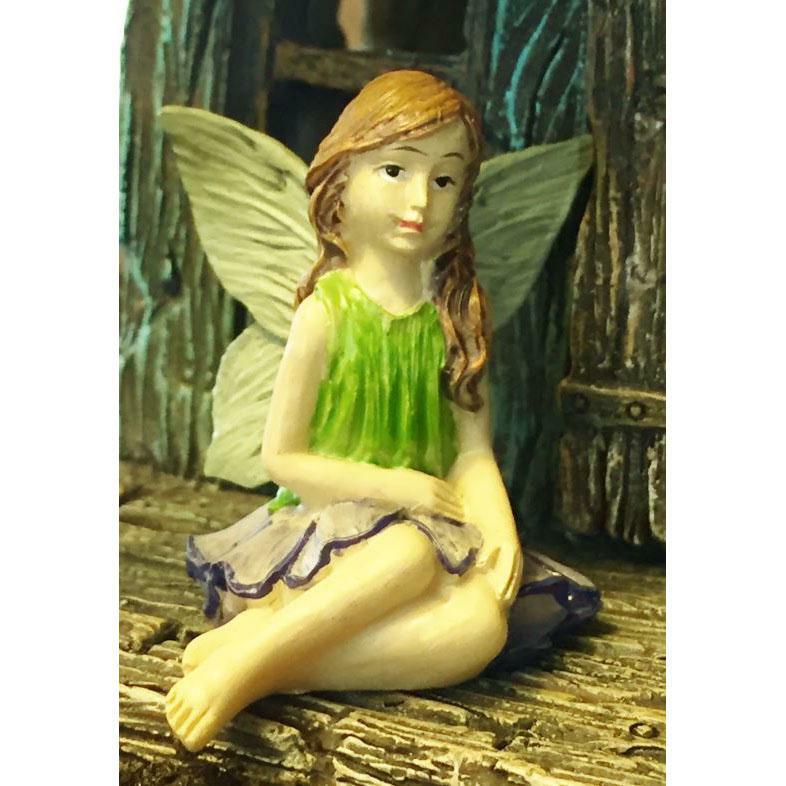 Fairy garden miniatures come in many different�sizes and do not have a specific scale. Please consider the size when selecting items from different ranges to ensure they�will complement each other and�your miniature display. Having said that,�we have seen first hand that�children are not at all concerned with scale and will create magical scenes with items of all sizes. Older enthusiasts however may�like to�be more mindful of this.